My most recent book, is now in print and can be purchased using your favorite legal currency. The idea with this book was to play in the space created by Jaroslav Pelikan. In other words, this is heavy on "Jesus through the centuries" and reception history. That said, the book begins with some basic historical Jesus elements and introduces early Christian literature. I conclude with a Jesus in pop-culture section. My hope is that this book might work as a supplementary text for classes on Christianity or World Religions. Here is some praise for the book. "I loved this book and will definitely be using it in my teaching. Hope the following will suffice: Le Donne's writing never fails to evoke, entertain and educate students - and this volume on Jesus is no exception. Covering Jesus' construction within historical enquiry to reception in pop culture this will be a welcome addition to the reading lists of many undergraduate programmes and an invaluable and accessible teaching resource." 'This little book punches far above its light weight. 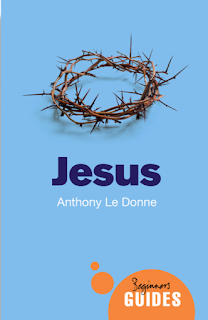 In Jesus: A Beginner’s Guide, Anthony Le Donne has given us an excellent short cultural history of Jesus. From the letters of Paul to the Gospel of Mary, from the Alexamenos graffito to Timothy Schmalz’s “Homeless Jesus,” from Clare of Assisi to Martin Luther King, Jr., it is all here, expertly narrated and beautifully illustrated." Le Donne explains Jesus not only in terms of long ago, but through the centuries to today. He traces not one Jesus but many, each reshaped for different reasons. Ultimately, this book presents Jesus as a remarkably malleable entity, and yet a figure who is as critically relevant now as ever." 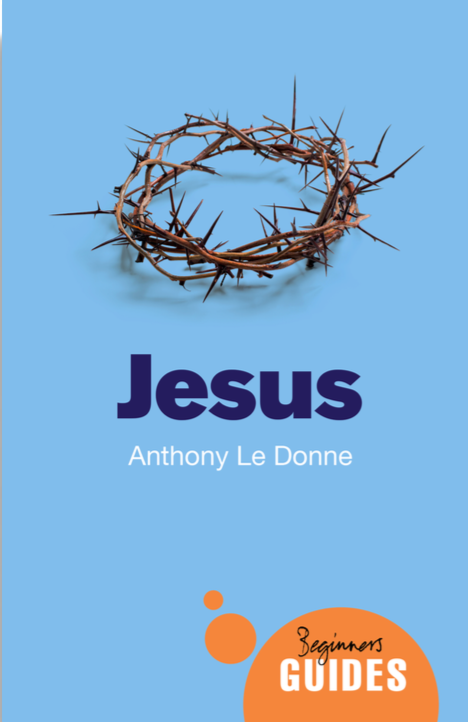 "As fascinating as it is wide-ranging, Anthony Le Donne's Jesus: A Beginner's Guide is a master class on a two thousand year long tradition of questing for, commemorating, and creatively appropriating Jesus. From magic bowls to Muhammad Ali, and with equal parts wit and learning, Le Donne canvasses a captivating range of sources to produce an engrossing account of the one the most important figures in history."